Winnipeg, Canada – A pair of former UFC® world champions will throw down in a welterweight thriller at Bell MTS Centre on December 16. UFC FIGHT NIGHT&reg;: LAWLER vs. DOS ANJOS will see former welterweight champion and No.1-ranked contender Robbie Lawler (28-11 1NC, fighting out of Coconut Creek, Florida, USA) look to take another step back towards a title shot when he meets one-time lightweight titleholder and No. 5 ranked welterweight Rafael dos Anjos (27-9, fighting out of Rio de Janeiro, Brazil). A dangerous knockout artist, Lawler has engaged in some of the most memorable bouts in UFC history. During his 170-pound title reign, he earned legendary wins over Rory MacDonald and Carlos Condit. Following a loss to current champ Tyron Woodley, he rebounded with a sensational victory over Donald Cerrone in July. Undefeated since moving up to 170 pounds earlier this year, dos Anjos immediately cemented his contender status with an impressive victory over Tarec Saffiedine. He then followed up his welterweight debut with a dominant submission win against Neil Magny. UFC FIGHT NIGHT®: LAWLER vs. DOS ANJOS will also feature a battle of light heavyweight contenders, as No.3 ranked Glover Teixeira (26-6, fighting out of Danbury, Connecticut, USA by way of Sobralia, Minas Gerais, Brazil) faces No.8 Misha Cirkunov (13-3, fighting out of Toronto, Canada by way of Riga, Latvia). A one-time title challenger, Teixeira has fought the who’s who of the light heavyweight division. He holds victories over Rashad Evans, Ovince Saint Preux, Ryan Bader and Quinton Jackson. In his last outing, he came up short in a Fight of the Night effort against Alexander Gustafsson. Cirkunov burst into the UFC’s 205-pound scene with four consecutive stoppage wins against Nikita Krylov, Ion Cuțelaba, Alex Nicholson and Daniel Jolly. The Latvian-born fighter aims to use Teixeira as a stepping stone into title contention. Tickets for UFC FIGHT NIGHT®: LAWLER vs. DOS ANJOS go on sale Friday, October 20 at 10 a.m. CDT. Prices will be announced soon. Tickets are available for purchase via Ticketmaster.ca and limited to eight (8) per person. UFC Fight Club® members will have the opportunity to purchase tickets Wednesday, October 18 at 10 a.m. CDT via the website www.ufcfightclub.com. A special Internet ticket pre-sale will be available to UFC newsletter subscribers Thursday, October 19 starting at 10 a.m. CDT. To access this presale, users must register for the UFC newsletter through UFC.com. 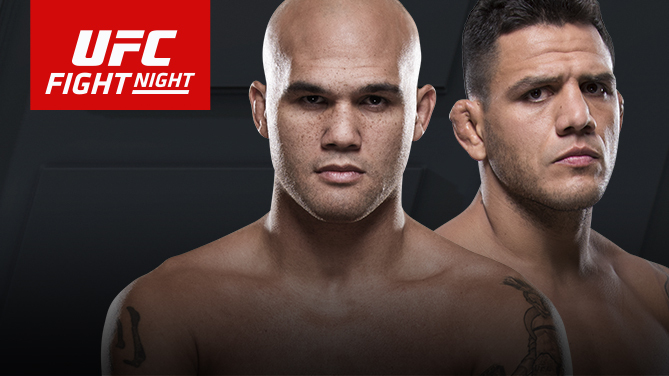 UFC FIGHT NIGHT®: LAWLER vs. DOS ANJOS will air live on Saturday, December 16 at 8 p.m. ET/5 p.m. PT on FOX. In Canada, the event will be broadcast on CTV TWO and RDS 2. Since 2008, the UFC has staged 24 events in the Great White North, across 10 different cities – Calgary, Edmonton Halifax, Montreal, Ottawa, Quebec City, Saskatoon, Toronto, Vancouver and Winnipeg. UFC events have set single-day event gate records in five Canadian venues: Calgary’s Scotiabank Saddledome (UFC 149), Montreal’s Bell Centre (UFC 124), Ottawa’s The Arena at TD Place (UFC Fight Night), Toronto’s Rogers Centre (UFC 129) and Winnipeg’s MTS Centre (UFC 161).